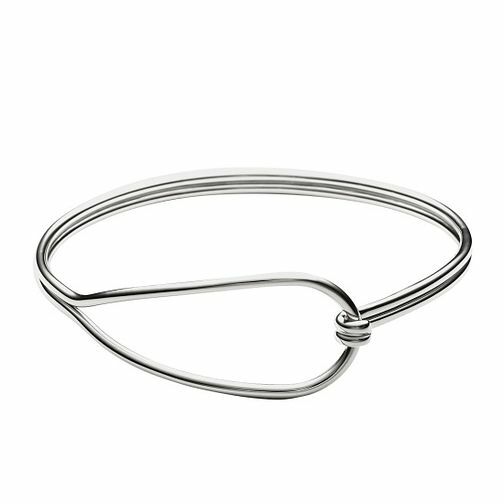 Refined and unique, this bangle from the Anette collection,features two circles fused together in polished stainless steel. A hinge closure makes it easy to slip on and off. Beautiful worn alone or statement making when stacked with jewel tones.